ControlBuild is designed to meet the needs of various types of companies such as systems integrators, OEMs, prime contractors, engineering, construction and consulting firms. 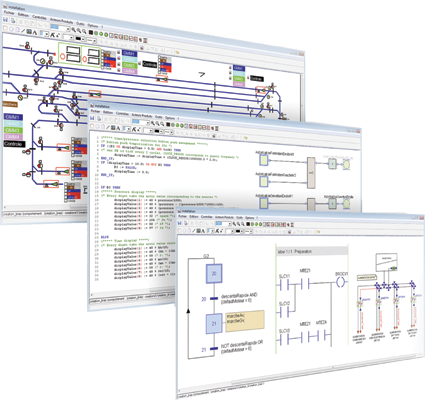 A comprehensive tool suite dedicated to modeling, simulation and development of industrial plant automation and electronic embedded systems. ControlBuild Application Generator (AG) is a unique open platform designed to accelerate the development of control software applications while improving quality. It covers the entire software development cycle (specification, simulation, code development and testing) and the operation of automated systems (optimization and maintenance).